St. Louis starter Jeff Sandusky had a strong outing against the St Charles Sheens at Gateway Stadium. The left-hander was a big part of his team's 9-2 win. Sandusky, now 8-6, was the winner. In 8.2 innings, he gave up 5 hits, while striking out 6, walking 2, and allowing no earned runs. St. Louis leads the Continental League Eastern Division by 2 games. Paul Mullins, who is tied for 10th in the CL with a .409 on-base percentage, chipped in for St. Louis with a 3-run home run in the bottom of the eighth. 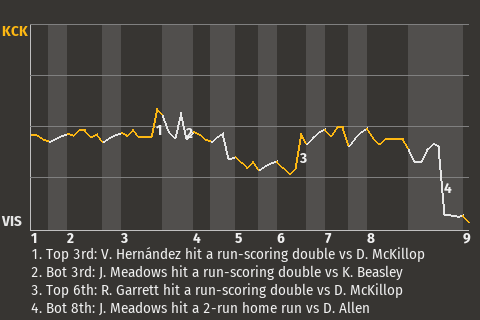 For the game, the designated hitter had 2 hits in 4 at-bats with 1 home run, 1 single, 1 run scored, and 3 runs batted in. "We came out aggressive," said Browns manager Brandon Kimball. "We came out swinging the bats." Special Notes: RP Craig Caldwell was injured while pitching.